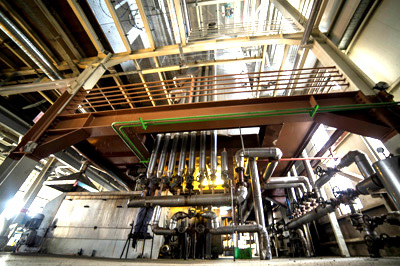 Environment friendly facility produces its own steam from its own waste materials. Konya Seker carries out its activities, related to seed growing, by Beta Ziraat A.S. It established this facility to increase the efficiency in agricultural production and increase the welfare of farmers by producing seeds, which are suitable for the region and the climate of the region. Thus, our country’s dependency on foreign sources for seed is decreased, contracted seed production as an alternative product is ensured during years, when farmers do not plant beet and income of farmers is increased. Hybrid sugar beet, hybrid corn, hybrid and standard vegetables, feed crops and grains are produced at the production facilities in Altinekin. Seed processing, covering and packaging processes are carried out at Altinekin campus. Konya Seker started the domestic corn seed improvement with cooperation of TUBITAK to change the foreign dependency of our country and is at the last stage in seed production. In addition, Konya Seker began improvement of sunflowers with 1501 TUBITAK Project with the subject, ‘Improvement of Hybrid and Parent Halfway Sunflower Improvement Materials, which contain high-medium oleic/high linoleic acid, resistant to Mildiou and IMI group herbicides. The oil plant in the facility is a smart plant, which has high technology machine-equipment course and fully automatic PLC automation. It has a processing capacity of 150 tons of sunflowers, 100 thousand tons of soy and canola per year and production capacity of approximately 66 thousand tons of raw sunflower oil and approximately 80 thousand tons of sunflower pulp with its high product quality. Interest in oily seed agriculture increased in Konya region when Konya Seker announced that it would establish a raw oil plant. Yearly sunflower for oil production, which was about 50 thousand tons in 2010, increased to 99 thousand tons in 2011, when it was announced that the factory would be built and was 211 thousand tons in 2012, when the foundations of the factory were laid and it was put into operation. According to TUIK (Turkish Statistical Institute) data, Konya was the province, which produced the highest amount of sunflowers for oil in Turkey, with approximately 265 thousand tons in 2013 and 2014. This increase in production is extremely important in terms of both the economy of our country, which supplies more than half of its oil and oil seed by importing, and the farmers in the region. This investment served expansion of oil seed cultivation areas and increased oil seed production through the use of high efficiency types in Konya region. Oil seeds, which are and will be produced have been brought in the economy of the region and additional added value was created in Konya and Aksaray region, where sunflower production started to become widespread. Opportunity to receive a share from the 325-350 million TL market is offered to our 40-45 thousand farmers with 300-350 thousand tons of seed production in the Central Anatolian production basin on a 1 million decare area. The problem of farmers, which had concerns for trustworthy sale channel has been solved with this investment. Oil seeds have become a product, which farmers can plant as an alternative product alternatively and brought economic development. Farmers in Konya and other provinces have an investment, they can produce and sell more trustfully. Needs of refinery oil factories in Konya and the region, which supplied a large portion of their raw oil requirements, are supplied by this modern facility. The factory, which aims to purchase without tiring the farmers by installing weighbridges in regions, where farmers have the most intense production, also strives to ensure that the farmers receive the best price. Oil and humidity values of seeds are received with devices, which are considered as reference in the world and seeds, whose performance is better, are awarded. This way, farmers, who have good production practice are awarded and motivated for good production. Increase in sunflower agriculture for oil and its alternation, especially with sugar beet in irrigable agricultural areas, contributes more to agricultural economy and the economy of the region. Total oil consumption per person reaches 30-35 kg per year in developed countries. Vegetable oil consumption in our country is 18-20 kg per person per year and this should be increased to 25-30 kg per year for a healthy diet. It is mandatory to increase vegetable oil production for a balanced and healthy diet, which has a great importance for raising healthy generations. 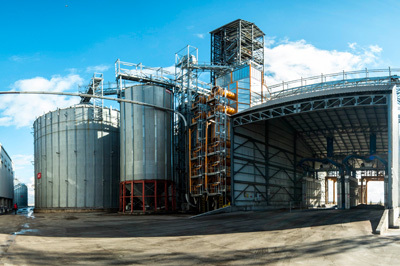 In addition to its contribution to GNP, this investment is also very important in terms of stockbreeding in the region because all of the pulp, which has high protein, and left after the process of obtaining oil, also supplies quality raw material need of the feed industry in the region. This investment will also shape the energy sector with biodiesel production as an alternative energy. Raw oil factory has emphasized product quality since the day it was established and registered its quality. Our factory has TS EN ISO 9001:2008 Quality System Certificate, TS 12302 Raw Sunflower Oil Product Conformity Certificate and TS 316 Sunflower Seed Pulp Product Conformity Certificate. In addition, the Raw Oil Factory also stands out with its R&D activities. The project with the title, “Obtaining Tocopherol and Sterol from Deodorization Waste, Arising During Sunflower Oil Refining,” was accepted in the scope 1511 by TUBITAK with a great support ratio. Konya Seker aims to Pioneer in obtaining valuable products, which conform to the interests of the country, with this project.